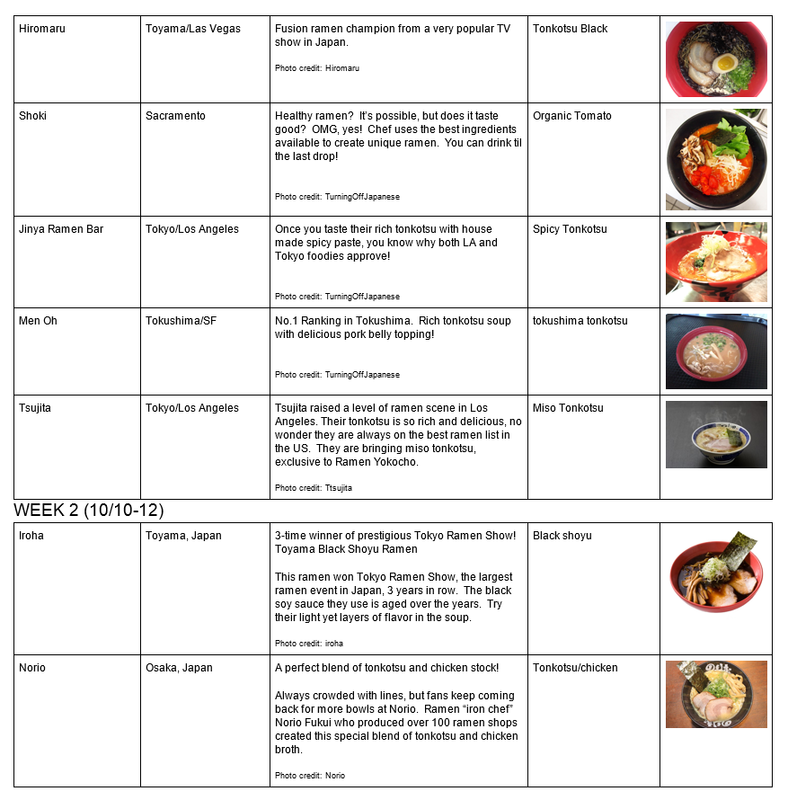 The San Jose Blog: San Jose Ramen Yokocho is on! San Jose Ramen Yokocho is on! 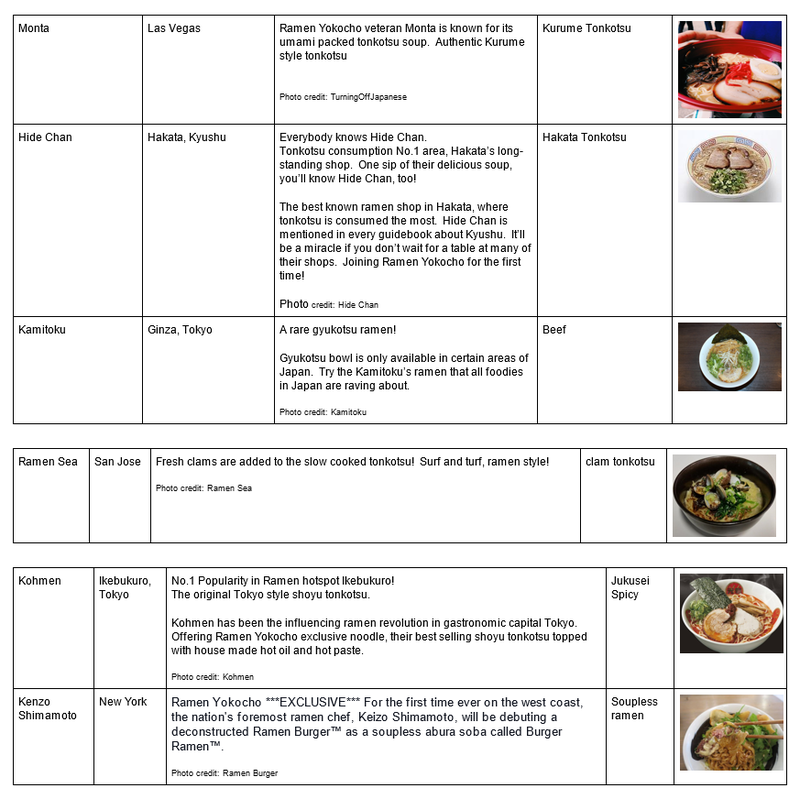 If you love Ramen, head over to Downtown San Jose either this weekend or next! The San Jose Ramen Yokocho in the Convention Center will feature 9-10 exotic Ramen selections (including a deconstructed Ramen burger). 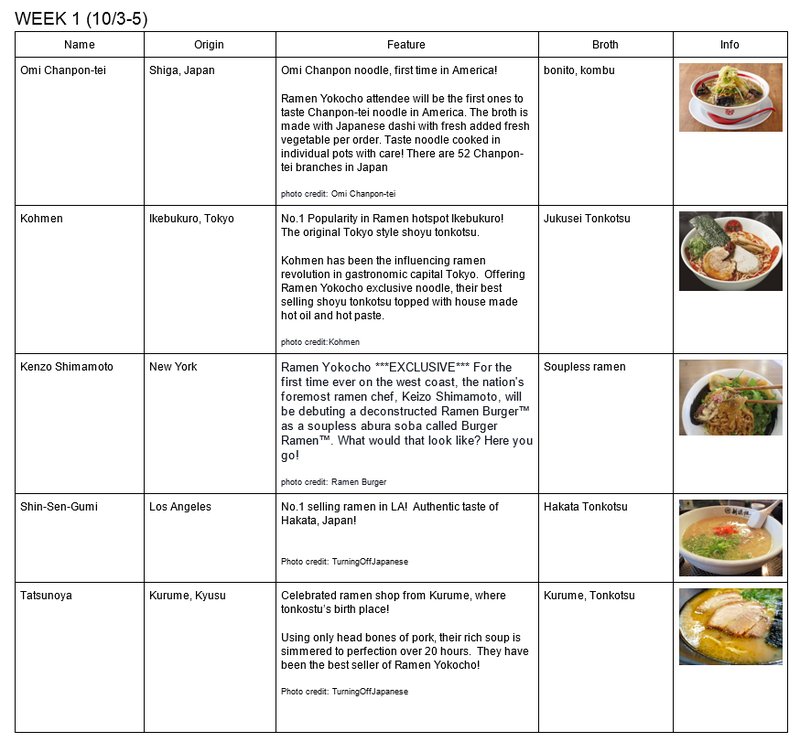 Below is the full Ramen lineup for the event. 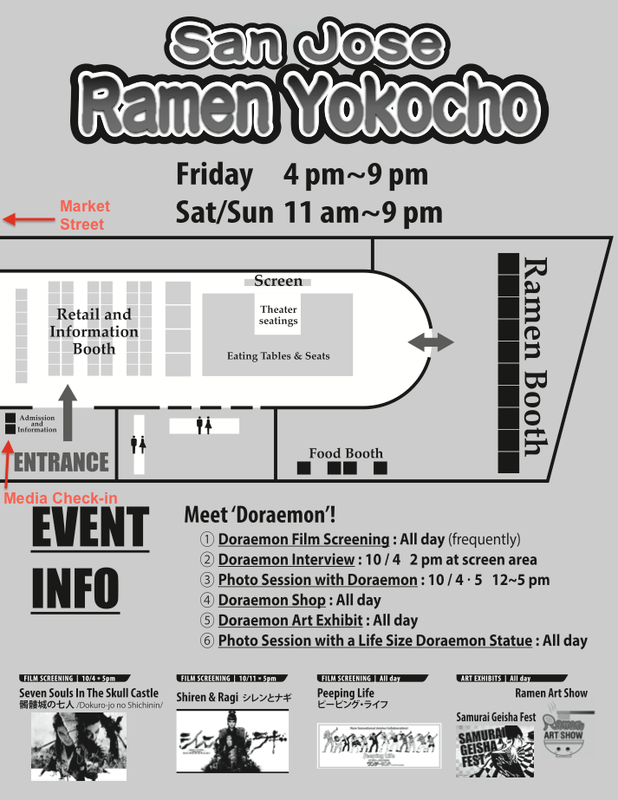 In addition to the great soups, there is an all-day Doraemon film screening, art exhibits, and vendors. The event is open on Saturdays and Sundays from 11am-9pm and next Friday from 4pm-9pm. I'm going tomorrow, can't wait!